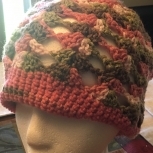 Crochet Easter Bunny Bonnet made with Red Heart Super Saver Ombre Acrylic Yarn. 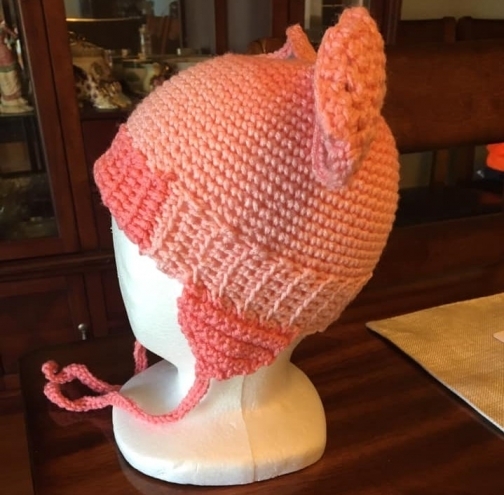 Hat would make a cute Easter or Birthday gift for any child or small adult and would also keep those "little" heads warm during those cold and winter days. 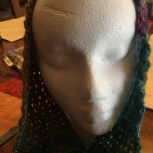 Hat is approx 22" circum, not including the ears. Care instructions: Hand or spot wash and lie flat to dry. If using washing machine, gentle cycle and lay flat to dry or dry at lowest setting. 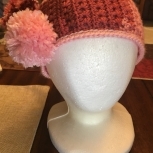 *This hat can also be a custom order, so any size, style, or color scheme can be made. Please be specific in the comments section what size, color or colors, style, etc. you would like to purchase. 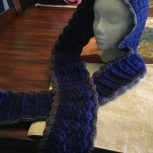 Please be aware that shipping of the item will take longer due to the creating and making of the hat. Approx turn-around time for this hat is around 1-2 months. If requesting expedited shipping, please be aware that pricing of hat may change. Please message me or contact me per e-mail regarding pricing or when you have any further questions*. 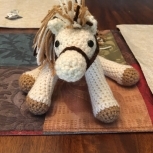 Original pattern by: Connie Tipsword. 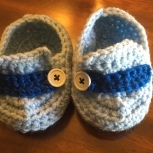 Pattern for bonnet was original designed for the Preemie Project at Can also be found on .